The Run snowshoe provides precision fit for running in technical terrain. Developed to provide a precision fit for running in technical winter terrain, the Run snowshoe features the Speed Helix™, a binding that’s compatible with winter running footwear. Built with the Boa Closure System, this binding delivers a micro-adjusted fit for precision and comfort on technical terrain, with a low profile, and lightweight design that keeps you running further. The fastest binding in the Atlas line, the Speed Helix™ with Boa® Closure System, delivers a micro-adjusted fit for precision and comfort on technical terrain, with a low profile, lightweight design. 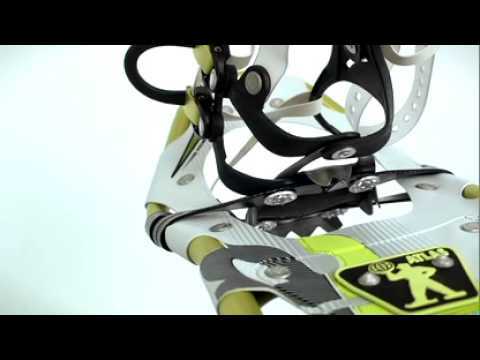 Our first patent revolutionized snowshoe performance and created an industry standard. The heel cleat adds traction and stability for climbing, descending and traversing varied terrain.